Famous for quality and style, Jaeger is one of the most recognisable fashion names on the High Street today. Fashion may come and go, but classic style lasts forever. This is the philosophy behind the Jaeger eyewear collection. The frames are the epitome of classic British style and most are made out of pure titanium. This makes them hypoallergenic, lightweight and immensely strong. Comfort is an important factor when you have to wear your glasses every day. The lightness of our Jaeger frames is the reason they are so popular with our patients. 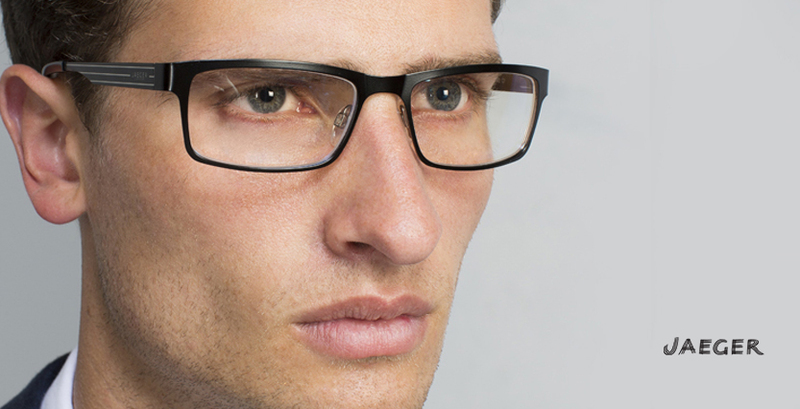 We have a range of styles available within this collection including plastic, metal and rimless frames. If you would like to view the collection please visit our practice.